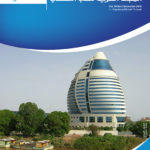 The Arab Journal of Psychiatry (AJP) is published by the Arab Federation of Psychiatrists since 1989 in Jordan. The Journal is biannual published in May and November electronically and as hard copy. Original scientific reports, review articles, and articles describing the clinical practice of Psychiatry will be of interest for publication in AJP. The Articles should not be published before. The articles may be written in English or Arabic and should always be accompanied by an abstract in English and Arabic. All Papers are accepted upon the understanding that the work has been performed in accordance with national and International laws and ethical guidelines. Manuscripts submitted for publication in the Arab Journal of Psychiatry should be sent to: The Chief Editor . m Title, running head (Max: 40 letters), title of the article in English and Arabic ,the names of authors should be without their titles and addresses in both languages. m Abstract in English (max: 200 words). It should follow a structured format (objectives, method, results and conclusion). It should be followed by key words (max. 5). m Declaration of interest after the key words. m Names of authors, titles, and full addresses and address for correspondence at the end of the paper. m Acknowledgment of support and persons who have had major contribution to the study can be included after the references. m Arabic abstract like the English abstract should follow a structured format. And it follows the references section (last page). m All Pages should be numbered. Tables should be typed with double-spaced in separate pages. They should be numbered with Arabic (e.g1,2,3) numerals and have a short descriptive headings. All illustration should be submitted camera-ready; line drawings/diagrams should be approximately twice the size they will appear in print. References should follow the ‘Van Couver style’ only the numbers appear in the text. List them consecutively in the order in which they appear in the text (not alphabetically). m Zeigler FJ, Imboden, JB, Meyer E. Contemporary conversion reactions: a clinical study. Am. J. Psychiatry 1960: 116:901 – 10.
m Mosey AC. Occupational therapy. Configuration of a profession. New York: Raven Press, 1981.